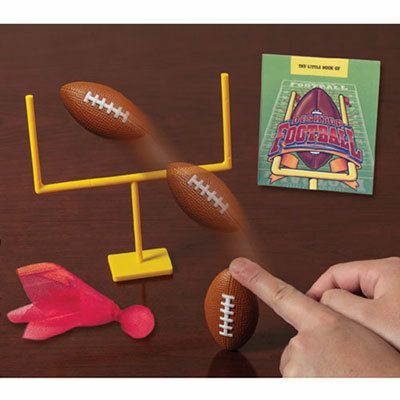 Trade the folded paper football in for big league action at home or the office. Set includes all you need to play: a football, football tee, goal post, challenge flag and 32-page rulebook standing in as the referee. Plastic. Ages 6 and up.